Looks like all that #droughtshaming worked. Last month, California’s urban water use dropped more than the 25% reduction ordered by Governor Jerry Brown—the state cut water use by 27.3%, in fact. We did it! The city of Santa Cruz, for example, reduced its monthly usage by 32.3% even though it was under a mandate to do so by only 8%. 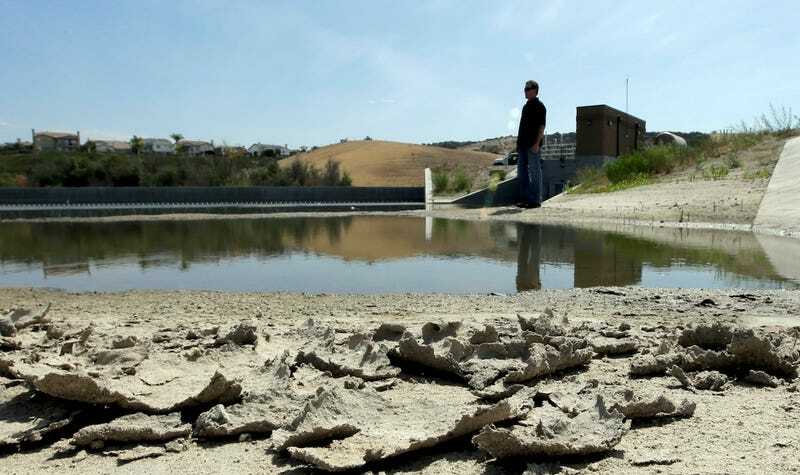 Santa Cruz, which has a population of about 63,000, has been among the most aggressive municipalities in the state in conserving water, enacting steep penalties on excess usage. However, about a third fell short of their targets, and some missed badly. The city of Beverly Hills achieved savings of 21.9% in June, below its 32% mandate. Beverly Hills spokeswoman Therese Kosterman said the city, which has a population of nearly 35,000, is trying to launch a new conservation program that would include penalties for excess use. “We’re still not there yet, but we’re making good progress,” she said. But there were plenty of bright spots. Even our wealthy friends in the Santa Fe Irrigation District who might have been overwatering on purpose in May managed to get their act together. They reduced usage by 37.3%. Nice work! This is all very good news, indeed. But it’s especially impressive because this milestone was achieved during the hottest June in recorded history. Great job, everyone. You can celebrate by taking an extra-long six-minute shower.